As the title suggests, this is a book about the rich history of font and typeface design; whether you want to know what Easy Jet has in common with the Beach Boys or why it’s ok to like Comic Sans, this title has the answer. 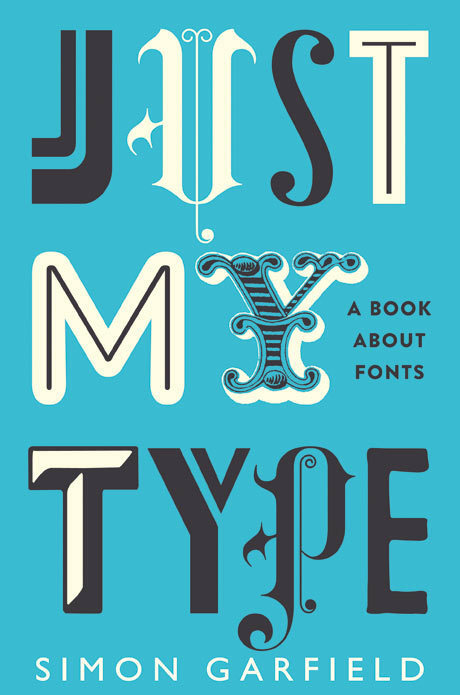 This witty book examines font design whilst being funny, informative and entertaining. Garfield meets the people behind the typefaces and looks at fonts on the high street, album covers, in homes, offices and beyond. With this book you can learn why using upper case got a New Zealand health worker sacked, spot where movies get their time periods wrong using the incorrect font and find out how not to be duped by fake posters on eBay. Typefaces are now 560 years old so when a Brit called Matthew Carter constructed the now-ubiquitous Verdana on his computer in the 1990s, what could he possibly be doing to an A and a B that had never been done before? This question and lots more are answered by Simon Garfield in full in his book. Described as “A fascinating and quirky new book” by Nigel Farndale – The Daily Telegraph, we love this book and are sure you will too.